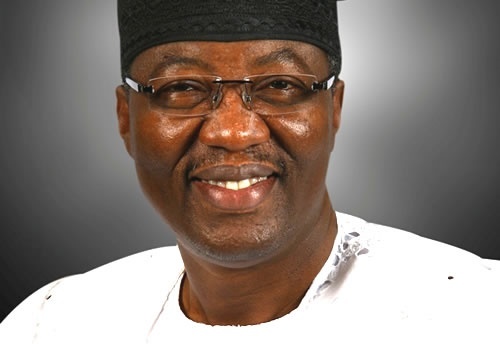 After resigning his membership of the Peoples Democratic Party, former governor of Ogun State governor, Gbenga Daniel is considering joining the All Progressives Congress . The former governor of Ogun State governor, Gbenga Daniel, on Sunday hinted that he was considering joining the All Progressives Congress (APC) . Daniel on Saturday retired from the Peoples Democratic Party (PDP), saying he was quitting politics. Aside from being the former governor of Ogun State under the PDP, Daniel was the chief campaign strategist of the PDP presidential candidate, Atiku Abubakar in last month’s Presidential election. The former governor is considering joining the ruling party, after Atiku and the PDP have alleged they were robbed of victory by the APC. He had earlier supported the Ogun APC governorship candidate, Dapo Abiodun, in the March 9 governorship election. On Sunday, Daniel received his followers at his private residence in Sagamu, Ogun State. The group was led by Ifekayode Akinbode, the supporters said since they supported Abiodun who won the governorship election, it was only important that they work with him in Ogun. While some of the supporters said they were against his decision to quit partisan politics. They said such a decision was leaving them in the cold to suffer. The former governor said he was considering the appeal of his supporters, while he was addressing the journalists after the meeting.